After 38 years of service, including development of 27 new homes, renovation of about three dozen existing homes, and providing thousands of dollars in grants and low-interest loans to local businesses, the Homestead-area Economic Revitalization Corporation is dissolving. Also known by its initials, “HERC,” the group was created in 1978 to organize community development activities in Homestead, Munhall, West Homestead and Whitaker boroughs. Dave Hahner, HERC president, said the decision to dissolve the corporation was difficult, but necessary. The group’s membership—all volunteers—is dwindling, he said. A letter explaining the decision to dissolve HERC was recently sent to each of the boroughs by Kimberly J. Kisner, the corporation’s attorney. Besides, Hahner said, with new stores and businesses opening throughout the Homestead area, it seems like the time is right for HERC to step aside and let others lead redevelopment efforts. “We’ve got a good thing going here now,” said Hahner, of Munhall, who is retired from the former Katilus Furniture Co. in Homestead. But that project is for some other group to tackle, Hahner said. “I hope someone else takes a good look at it, and gets started,” he said. Other HERC board members include Margaret Burrows of Verona, Richard Capp of West Homestead, Denine Hood of Homestead, Marlene Murphy of Homestead, Bill Stasko of West Homestead, and Janet Whitney of Pittsburgh. In 1987, HERC was one of the founding members of the Homestead-based Mon Valley Initiative, a coalition of community development corporations that provides housing and real estate development services, workforce and business development, housing counseling and community outreach. One of HERC’s early projects was leading the redevelopment of the Tindall Building on East Eighth Avenue—the building where MVI’s offices and workforce development programs are now located. 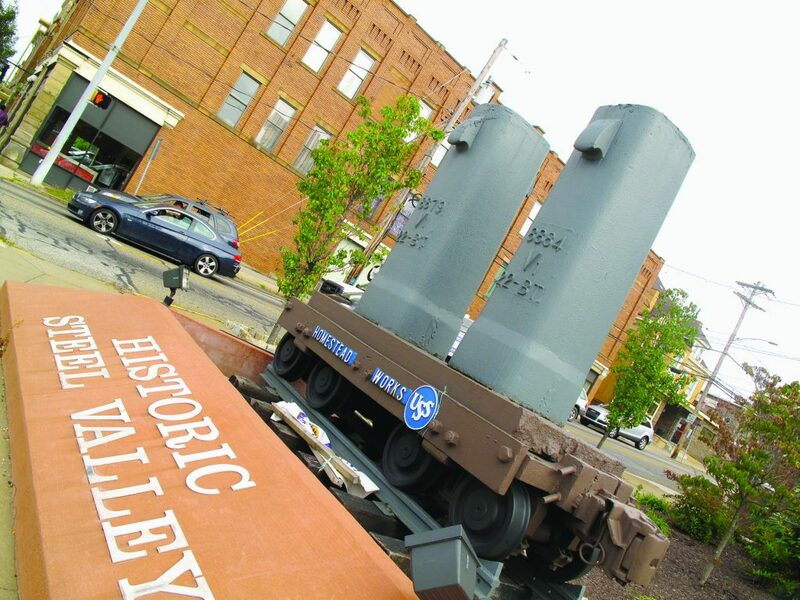 Many MVI programs serve the Steel Valley and West Mifflin areas, including free housing and mortgage counseling offered at MVI’s Homestead office, as well as workforce and business development services, she said. 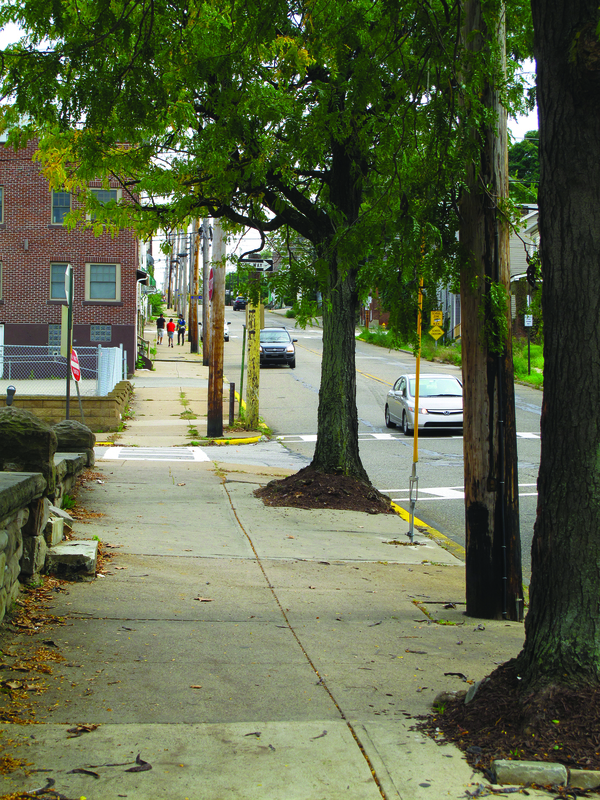 During its existence, HERC, often in partnership with MVI, brought in financial resources to restore several buildings in the Eighth Avenue business district and helped lead a “streetscape” improvement program that brought new lighting, sidewalks and landscaping along the avenue through Munhall, Homestead and West Homestead. HERC also created Operation Clean Sweep, to clean streets and sidewalks on main streets in each community, and renovated the Ingot Buggy Plaza near the entrance to the Homestead Grays Bridge. And in 2008, along with MVI and Allegheny County, HERC developed 25 new and rehabilitated housing between Louise and Andrew streets in Munhall and Homestead. That project, known as the Library Homes, now generates tax revenue every year for the boroughs, the county and the Steel Valley School District. “HERC members have done some very important work over the past four decades, and we owe them a debt of gratitude for their service,” Zinski said. HERC owned no property but did until recently maintain a bank account where grant money and donations were held. Under federal law, when a non-profit, tax-deductible corporation such as HERC is dissolved, it must turn over any remaining funds to other non-profit, tax-deductible organizations. Hahner said HERC’s remaining funds were divided between Clark Memorial Baptist Church, Homestead Cemetery, Rainbow Kitchen, Steel Valley Enterprise Zone, Steel Valley School District and Transitional Services Inc.
Board members voted Dec. 14, 2015, by a two-thirds majority to dissolve HERC, and the Pennsylvania Attorney General’s Office was notified in January of that decision. Because the Attorney General’s Office had no objection, HERC is now notifying the mayors and councils of the four affected boroughs. HERC’s official dissolution awaits formal action from the Corporation Bureau of the Pennsylvania Department of State and other regulatory agencies, Kisner said.